From Mount Gambier to Kalangadoo, head along Commerical St West to Suttontown Rd, head north to Pinehall Ave, then head west to Hinton Rd and head north. 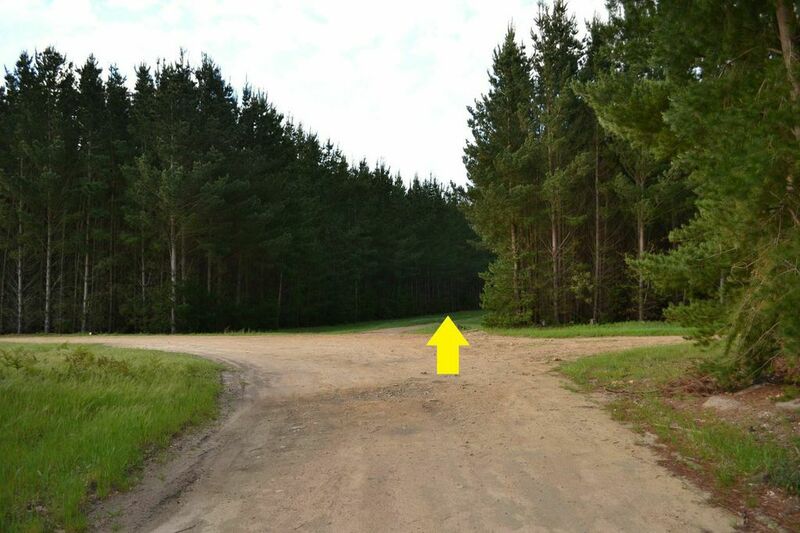 It changes surface a few times and eventually turns into a rather small track but it will eventually bring you all the way to Grundy’s Lane which is a well made gravel road. 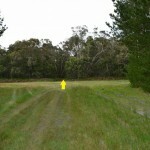 Turn left, after about 900m, you will arrive at Bush Haven Cottages. 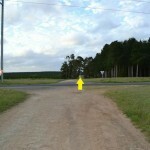 The intersection with Wandilo Forest Rd. 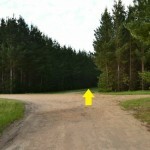 Next intersection, in the pine forest. Go straight ahead. 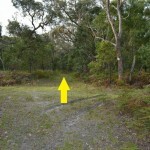 Next intersection, junction between the pine forest and native scrub. 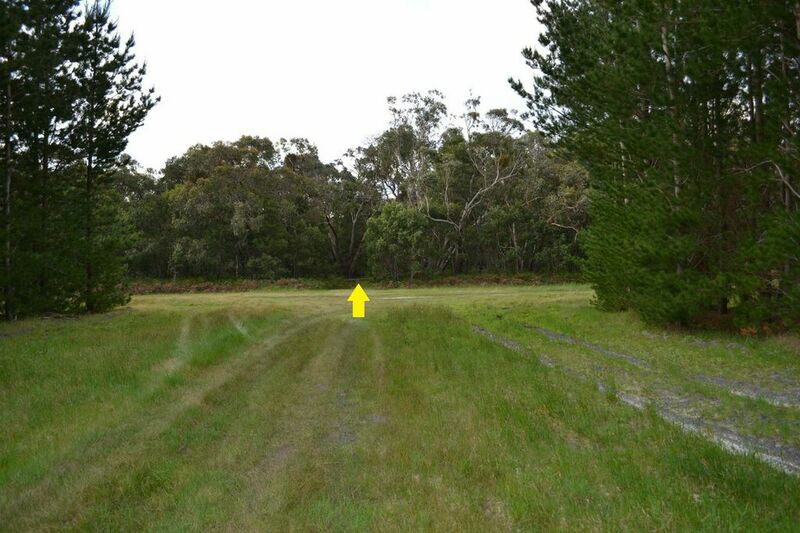 Next intersection, intersection in the native scrub: Go straight ahead. T-intersection with a limestone road, which is Grundy’s Lane. Turn left. 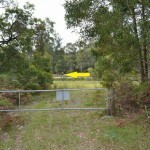 Groups conducted by the Aussie Camino will stay overnight at Bush Haven Cottages. If you are willing to press on, continue on Grundy’s Lane for about another 1km and then turn right into Carney Lake Rd and proceed north. This changes name to Lagoon Road and then Wood Road. Continue and then turn left at Wepar Road. 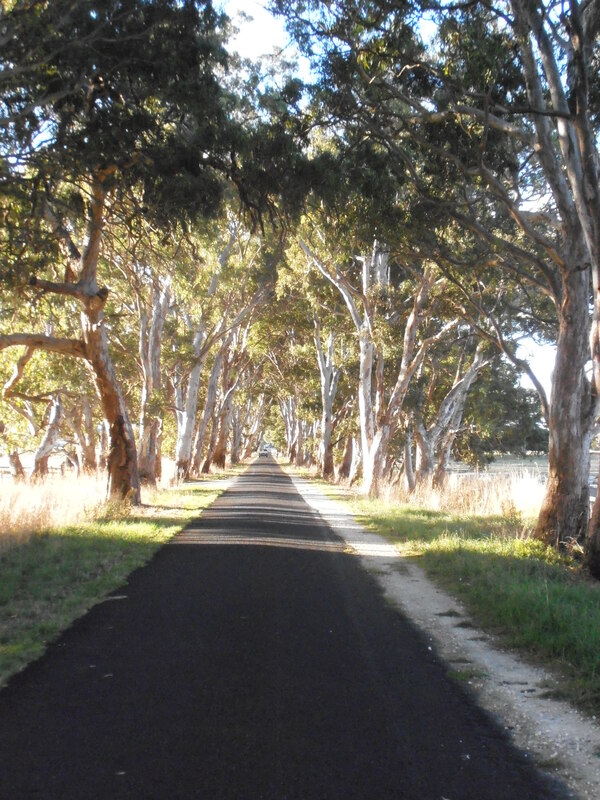 The treed road (pictured above) into Kalangadoo is particularly beautiful at late afternoon. 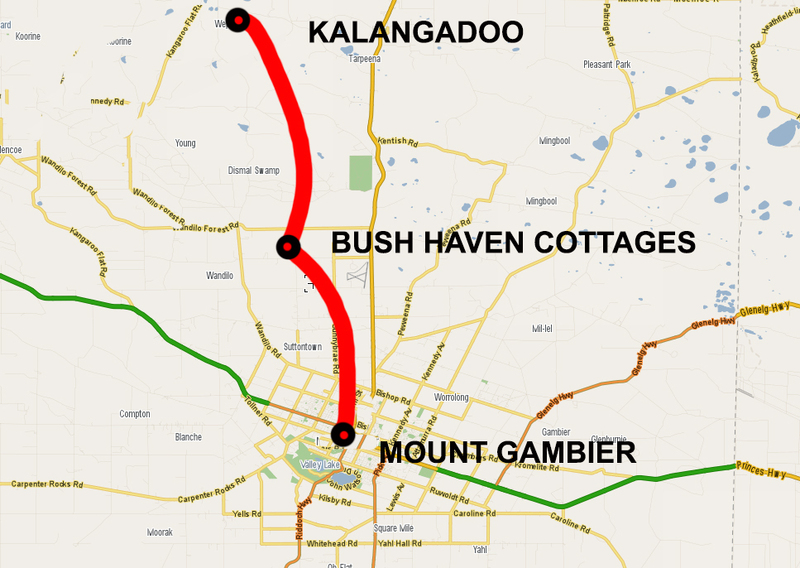 Turn right at Rogers Road which will bring you into Kalangadoo.